At the University of Wisconsin–Extension CEOEL, we are trying something new: a pilot course that uses learner and user-generated instructional content. The experimental pilot will be offered through our competency-based micro-credentialing platform the University Learning Store. You, along with students and other interested professionals, can help us build the course! The subject of the course is Human Resource Management: Creating a Training Plan. An unfinished draft of the course is available for editing now on Wikiversity (a sibling of Wikipedia). We sincerely hope you will take a look and contribute. There are several reasons we believe learner- and user-generated content is worth investigating in the context of micro-credentialing. First and foremost, we want to offer learners affordable credentials that employers value. Instructional content that is user-generated yet also validated by experts might be a way to offer learners high-quality university-backed credentials at a price they can afford. A second reason has to do with giving industries and employers a voice in the education of potential future employees. Third, wouldn’t it be great if there was a sustainable way for higher education to create OERs (open educational resources)? Learner- and user-generated wiki content could do that! What Is the University Learning Store? A first in nonprofit higher education, the University Learning Store offers a practical and affordable way for learners to earn credentials that hold real value in today’s job market. Keen, A. (2007). The Cult of the Amateur: How today’s Internet is killing our culture and assaulting our economy. London: Nicholas Brealey Publishing. We are now deep into Fall as leaves and temperatures continue to drop. The excitement of back-to-school season has now given way to mid-terms and the routines of mid-semester academic work for students and faculty. But what if you’re working in a self-paced, competency-based education (CBE) program? There’s nothing routine about CBE, whether you’re a student or faculty member. Competency-based education is a big change for everyone, from administrators to students. As we approach the one-year mark since launching the Flexible Option business administration degree, I wanted to check in with the academic director and faculty developer, Suresh Chalasani, to talk about the Flex faculty perspective. I asked Suresh to reflect on his experience, focusing on a few questions about how he approached the CBE change as a faculty member. 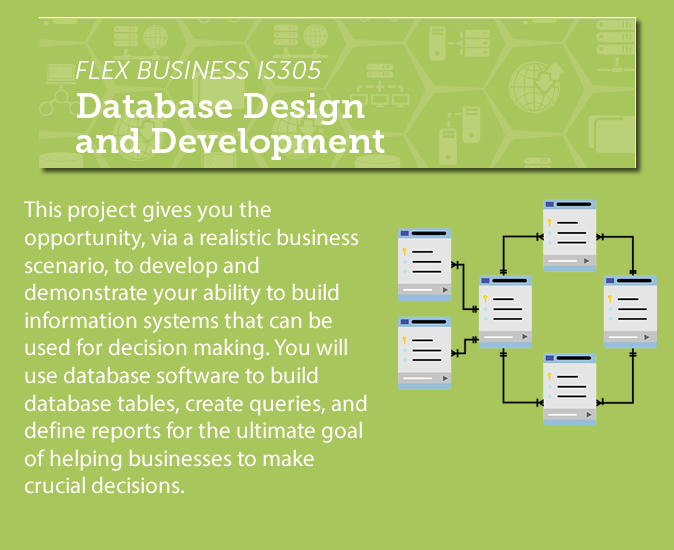 What was your approach to designing projects for the business administration degree? In a traditional course, I used to select a textbook, and assessments were designed to align with the textbook materials. In the Flex model, assessment design is completely centered around competencies. Assessments are designed to measure students’ performance on competencies. As faculty we were all striving to create assessments that are authentic in the sense that they measure students’ performance in a practical scenario—a scenario they are more likely to encounter in a work setting. Homepage sample illustrating the standardized layout and support resources that contribute to student success. 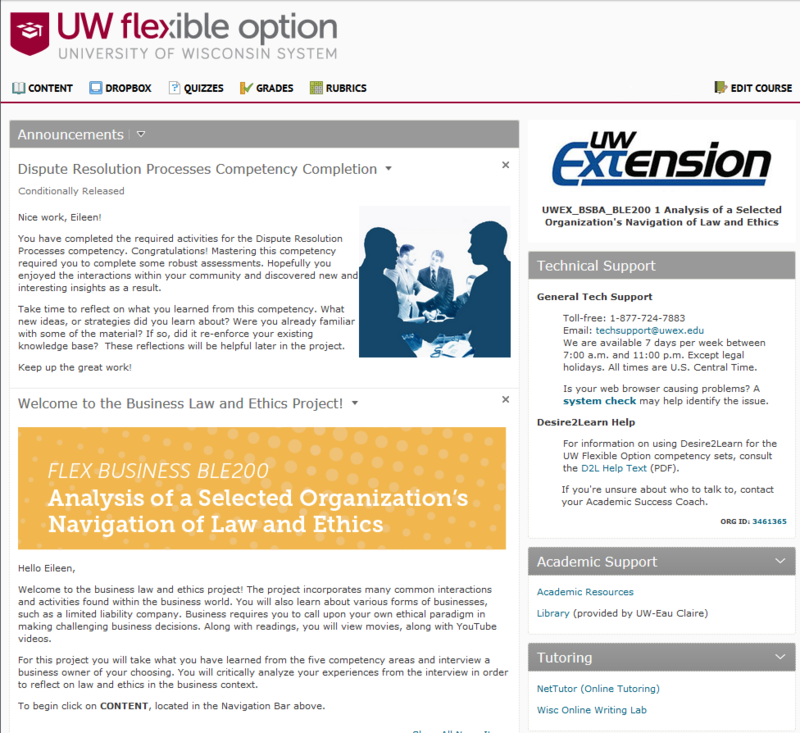 At CEOEL, we are starting to work on developing a new degree for UW System’s Flexible Option. Before embarking on this new journey, I wanted to take some time to reflect on the last one. I had the opportunity to work with a great group of faculty and instructional designers this past year while developing UW–Extension’s first degree, a Bachelor of Science in Business Administration (BSBA). In this post, I’ll highlight just a few ways that this degree incorporates research-based recommendations for designing and delivering learning experiences to self-directed, self-paced learners. These practices address factors such as learner characteristics, assessment methods, and presentation of materials. It’s a busy time around here! With the fall semester starting and new competency-based program development in full swing, everyone is working hard to deliver the best learning experiences possible. Back-to-school season is exciting but challenging for learners, instructors, and those of us in supporting roles. Part of that hard work is curating learning resources—open educational resources (OERs). 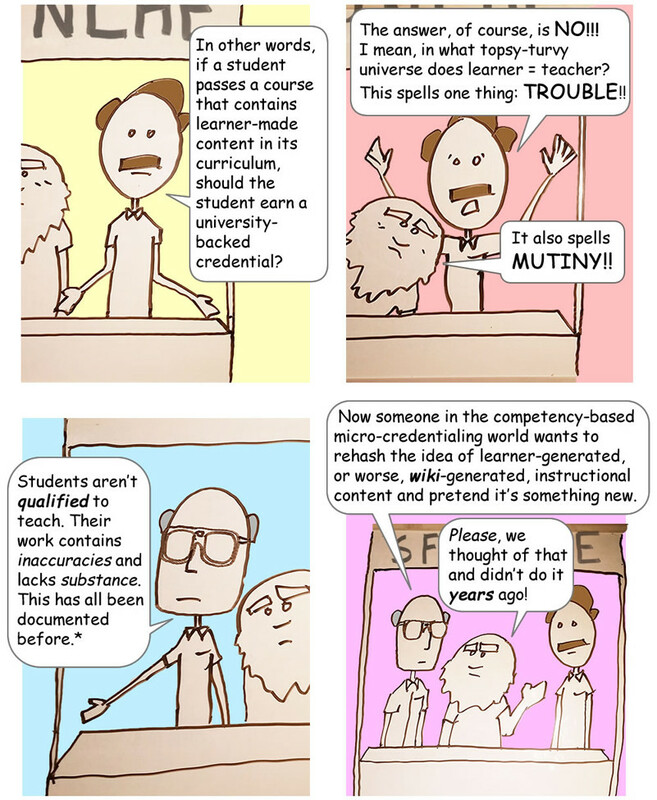 Today’s post will explore how some of our faculty are approaching OERs. In the midst of all this preparation, I’ve recently heard conversations about how important thoughtfully curated learning resources are to a student’s success, and it occurred to me it might be interesting to look back at the transcript of a conversation I had with Kim Kostka about using OERs. Kim and her colleagues Tom Neal and Tony Millevolte assembled and annotated an array of OERs for one of our Flexible Option competency sets. Here are some of the highlights from my conversation with Kim. 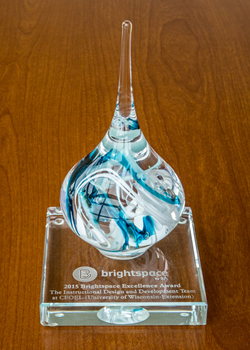 In July of 2015, D2L honored six Excellence Award winners from around the world, including our instructional design team. The award honors the delivery of innovative, collaborative, or impactful learning experiences via the Brightspace platform. 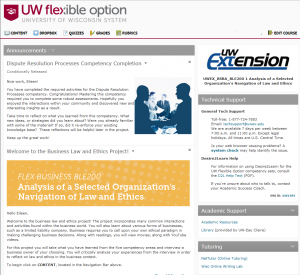 D2L recognized the UW–Extension team’s support for UW Flexible Option. View the article for more details.